Students then moved to the Russell Office Building for a lobbyists panel that included representatives from Macon Edwards Company, EADS, Deloitte & Touche and Delta Strategy Group. The message from the lobbyists was that effectiveness in the political and government relations world is built on relationships and trust. 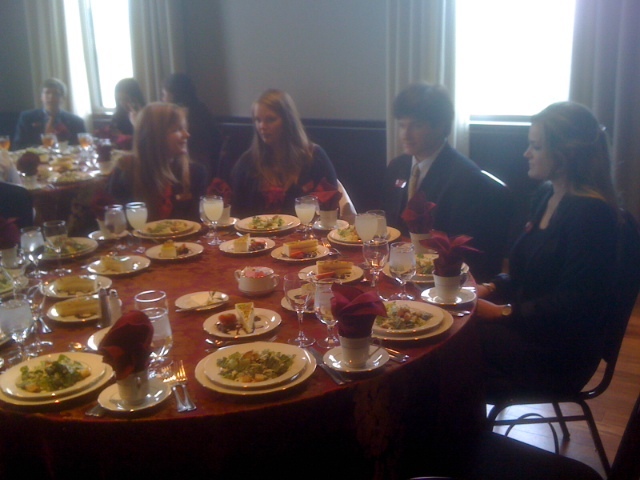 Lunch was served in an elegant 5th floor dining room at the Reserve Officers Association looking out at the Capitol. The view was stunning in spite of the cold drizzle outside. 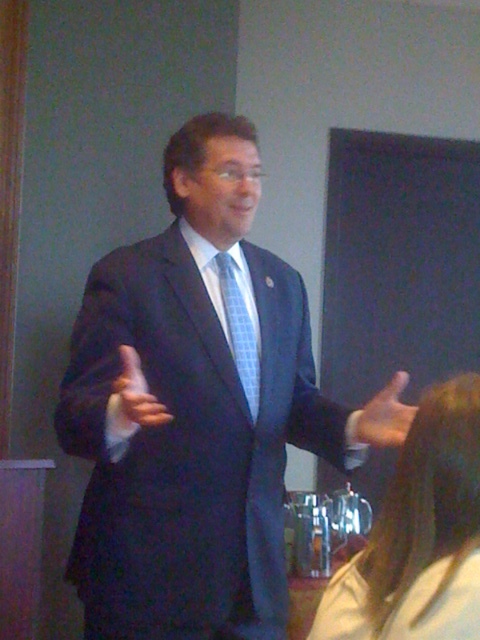 Students were treated to remarks by Seantors Cochran and Wicker and Congressman Gregg Harper. 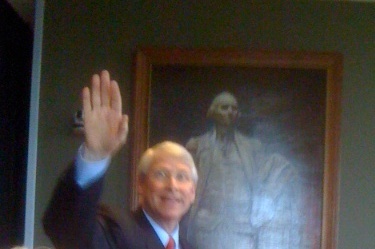 Also at the luncheon were a dozen staff members representing Mississippi’s Congressional delegation. After lunch the group was led on a special tour of the Capitol by members of the Capitol Historical Society. The final presenter of the day was Jessica Grounds, Executive Director of Running Start, a nonprofit organization founded to inspire young women and girls to political leadership. Running Start furthers the work begun by the Women Under Forty Political Action Committee (WUFPAC). WUFPAC is a national women’s group dedicated to electing young women to political office.